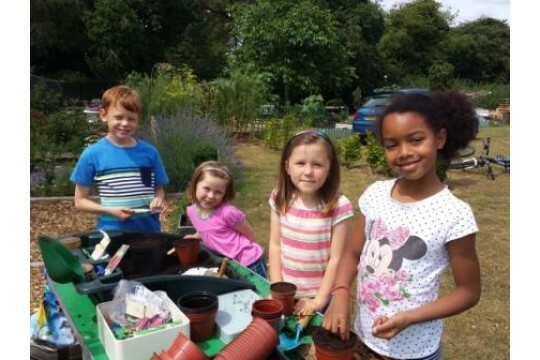 To develop a community food growing scheme for young people and their families. This would include horticulture, cooking and educational food programme for young people supported by adult volunteers and mentors. The programme will support young people and adults to learn and share food growing and cooking skills and obtain valuable work experience. This project is needed to educate the younger generation about food. Inspero particularly works in the Basingstoke areas of Buckskin, South Ham and Popley which falls within the 30% most deprived areas in England IMD 2010. Around half the households are social housing and many of the children come from low income and often large families and face a number of issues: unemployment, poorskills, large families, low incomes, poor housing, crime, bad health and family breakdown. 30 Young people learning how to grow food, basic horticulture skills as part of an eco project in their local environment. 5 Young people completing Work Experience with Inspero giving them valuable skills and preparing for the world of work. A community resource to share recipes, swap seeds, and provide local young people with access to fresh fruit, vegetables and herbs via our growing plots.